The startling announcement by a Chinese scientist represents a controversial leap in the use of genome editing. A Chinese scientist claims that twin girls have been born whose genomes were edited at the embryo stage. 26 Nov 2018 – A Chinese scientist claims to have helped make the world’s first genome-edited babies — twin girls, who were born this month. The announcement has provoked shock and outrage among scientists around the world. He Jiankui, a genome-editing researcher at the Southern University of Science and Technology of China in Shenzhen, says that he impregnated a woman with embryos that had been edited to disable the genetic pathway HIV uses to infect cells. In a video posted to YouTube, He says the girls are healthy and now at home with their parents. Sequencing of the babies’ DNA has shown that the editing worked, and altered only the target gene, he says. The scientist’s claims have not been verified through independent genome testing, nor published in a peer-reviewed journal. But, if true, the twins’ birth would represent a significant — and controversial — leap in the use of genome editing. Until now, the use of these tools in embryos has been limited to research, often to investigate the benefit of using the technology to eliminate disease-causing mutations from the human germ line. But some studies have reported off-target effects, raising significant safety concerns. Documents posted on China’s clinical-trial registry show that He used the popular CRISPR–Cas9 genome-editing tool to disable a gene called CCR5, which encodes a protein that allows HIV to enter a cell. Genome-editing scientist Fyodor Urnov was asked to review documents that described DNA sequence analysis of human embryos and fetuses edited at the CCR5 locus for an article in MIT Technology Review. “The data I reviewed are consistent with the fact that the editing has, in fact, taken place,” says Urnov, who is based at the Altius Institute for Biomedical Sciences in Seattle, Washington. But he adds that the only way to tell whether the children’s genomes have been edited is to independently test their DNA. Urnov takes issue with the decision to edit an embryo’s genome in order to prevent HIV infection. He is also using genome-editing tools to target the CCR5 gene, but his studies are in patients with HIV, not embryos. He says that there are “safe and effective ways” to use genetics to protect people from HIV that do not involve editing an embryo’s genes. “There is, at present, no unmet medical need that embryo editing addresses,” he says. Paula Cannon, who studies HIV at the University of Southern California, also questions He’s decision to target the CCR5 gene in embryos. She says some strains of HIV do not even use this protein to enter cells, they use another protein called CXCR4. Even people who are naturally CCR5-negative are not completely resistant to HIV because they could be infected by a CXCR4 strain, says Cannon. Related: Should you edit your children’s genes? “This experiment exposes healthy normal children to risks of gene editing for no real necessary benefit,” says Julian Savulescu, director of the Oxford Uehiro Centre for Practical Ethics at the University of Oxford, UK. Years of research is needed to show that meddling with the genome of an embryo is not going to cause harm, says Joyce Harper, who studies women’s and reproductive health at University College London. . 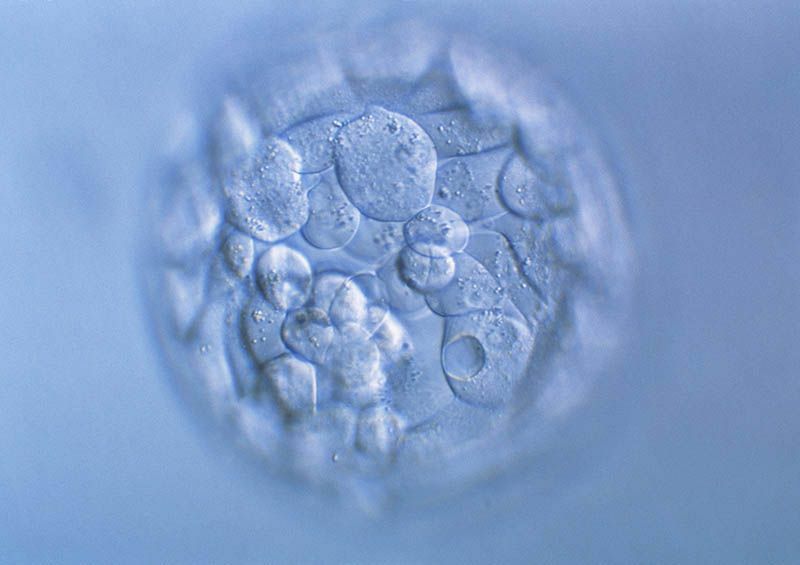 Legislation and public discussion should also occur before genome editing is used in embryos destined for implantation. “Today’s report of genome editing human embryos for resistance to HIV is premature, dangerous and irresponsible,” says Harper. Southern University of Science and Technology said in a statement on 26 November that it was unaware of He’s experiments, that the work was not performed at the university and that He has been on leave since February. “The Southern University of Science and Technology requires scientific research to abide by national laws and regulations and to respect and comply with international academic ethics and academic standards,” the statement said. The university says it will set up an independent committee to investigate the matter. More than 100 Chinese biomedical researchers have posted a strongly worded statement online condemning He’s claims. “Directly jumping into human experiments can only be described as crazy,” the statement reads. The scientists call on Chinese authorities to investigate the case and introduce strict regulations on this procedure. Nature has contacted He but has yet to receive a response to the concerns about his experiments. Making gene-edited babies goes against regulations released by China’s health and science ministries in 2003, but it is not clear if there are penalties for those who break the rules. In the YouTube video, He says that the twins’ parents underwent in vitro fertilization (IVF). When the embryos were just a single cell, He says his team inserted an editing protein that disabled CCR5 before the embryos were implanted into the mother. News of the experiment comes as researchers in the field gather in Hong Kong for a major international meeting on genome editing, running from 27 to 29 November. A key goal of the summit is to reach an international consensus on how genome editing to modify eggs, sperm or embryos — known as germline editing — should proceed. Even before the news of He’s work emerged, many in the field believed it was inevitable that someone would use genome-editing tools to make changes to human embryos for implantation into women, and had been pushing for the creation of ethical guidelines. He supports the use of genome editing in embryos only in cases that relate to disease, and says that genetic tweaks to enhance intelligence or to select for traits such as hair and eye colour should be banned. “I understand my work will be controversial, but I believe families need this technology and I am willing to take the criticism for them,” he says. Bioethicist Tetsuya Ishii at Hokkaido University in Sapporo, Japan, does not think the application of genome editing in embryos to reduce HIV infection is justified. He says that babies of women with HIV can be delivered by caesarean section to avoid the infection being transmitted during childbirth. In the case of the twins, the father is HIV positive but the mother is not, says He in the YouTube video. But Cannon says it makes no sense to recruit families with an HIV-positive father because there is no real risk of transmission to the children. “I’m just so angry,” says Cannon. She hopes that as a result of this announcement, scientists and policy makers will discuss how to regulate the practice. In an interview with the Associated Press, He said the goal of the work was not to prevent transmission from the parents, but to offer couples affected by HIV a chance to have a child that might be protected from a similar fate. Recent surveys suggest that the public supports genome editing in embryos if it fixes disease-causing mutations. In December 2017, the Nuffield Council on Bioethics, a London-based independent advisory committee, published a survey of 319 people. Nearly 70% of those supported gene editing if it allowed infertile couples to have children, or if it allowed a couple to alter a disease-causing mutation in an embryo. A larger survey of 4,196 Chinese citizens, released last month, reported a similar level of support for modifying genes if the goal is to avoid a disease. But respondents were opposed to using it to enhance IQ or athletic ability, or to change skin colour.